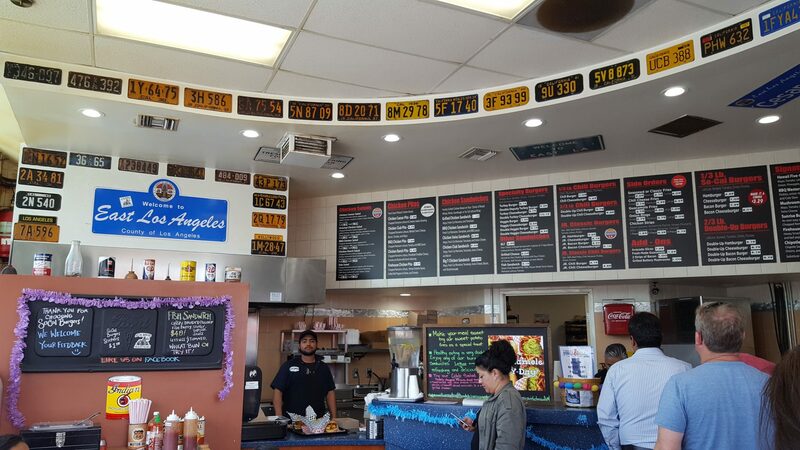 While the majority of their menu is a haven for meat-eaters, SO-CAL Burgers does have a veggie burger, and they will substitute any of their specialty burgers with a veggie patty for $.50 extra. The veggie patty is not faux-meat, by which I mean you can taste the grain-y bean-and-corn-ness. But it’s firmly packed and holds together well, even when smothered in grilled mushrooms — there’s nothing I hate more than a soggy veggie patty that falls apart on first bite. The veggie patty is also pretty filling, so I recommend ordering the burger as a lettuce wrap. Veggie burger aside, what absolutely should not be passed on is SO-CAL Burgers’ guacamole fries. The fries are lightly seasoned and are an excellent vehicle for transporting the smooth, house-made guacamole into your mouth. To get to SO-CAL Burgers, take the Gold Line to East L.A. Civic Center Station, or Metro Bus 258 to Mednik/3rd. If the weather is nice, get your food to go and walk over to Belvedere Park Lake for a picnic. The park is about a five minute walk away. 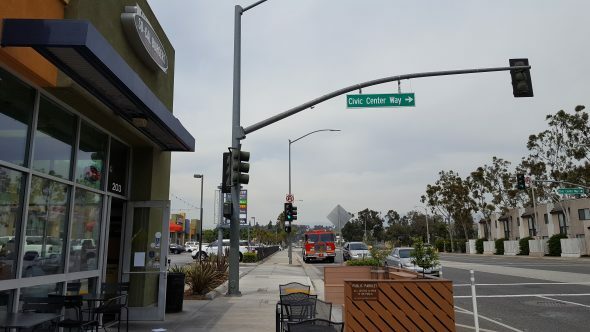 There’s also a nice parklet right in front of SO-CAL Burgers where you can enjoy your meal. Celebrate Earth Day with a FREE Metro Bike Share ride in DTLA!